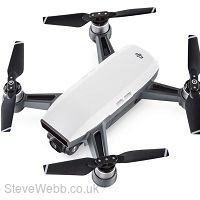 The DJI Spark offers a variety of intelligent flight modes for smart, intuitive control. ActiveTrack lets you select your subject, such as a runner, and track them as they move for a smooth, professional-style video. You can make precise movements such as circle around your subject, ascend with the camera pointing downward, fly backward and upward with the camera locked on your subject, or fly upward while spiralling around your subject. Capture brilliant videos and images with the high-performance camera. You can get creative with panorama and shallow focus photo modes. The Return to Home (RTH) function means if the battery gets low, connection is lost, or you select the RTH button, Spark will safely fly back to the preset home point. Flight Protection alerts you if you fly near places where drone flights may raise safety or security concerns, such as airports or stadiums, helping you fly responsibly. Pilot your DJI Spark drone with ease, thanks to the DJI Spark Controller. It features left and right toggle controls that makes steering easy. Its WiFi transmission system can control your aircraft from a maximum range of 1.2 miles. 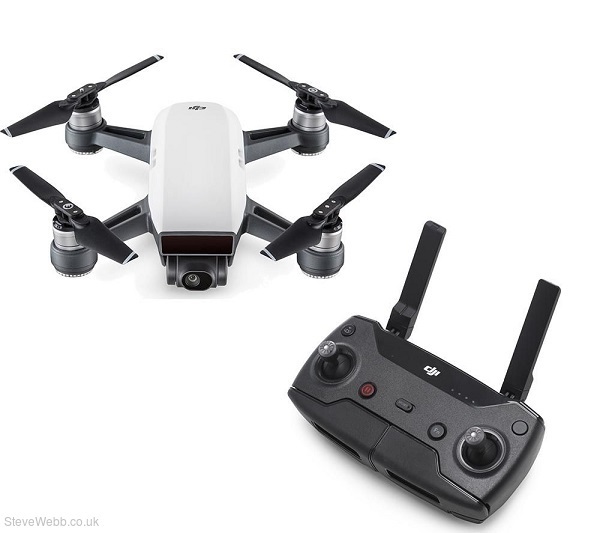 The Spark controller can connect to a mobile device wirelessly, and display a live video feed of what your Spark drone sees via the DJI Go4 app for iOS and Android devices. 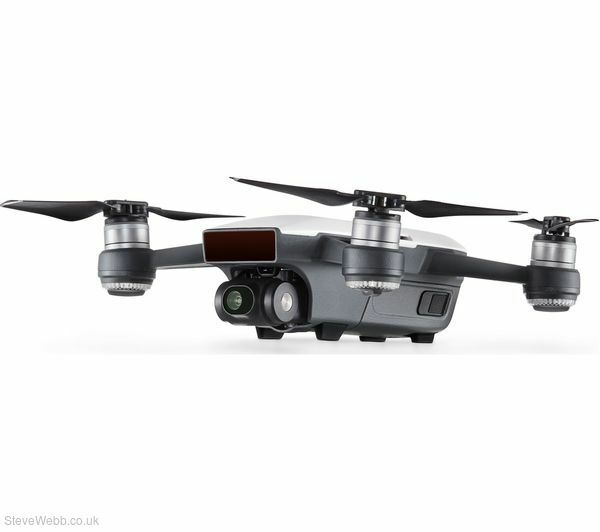 A battery life of 2.5 hours gives you plenty of time to fly before you'll need to recharge its battery.